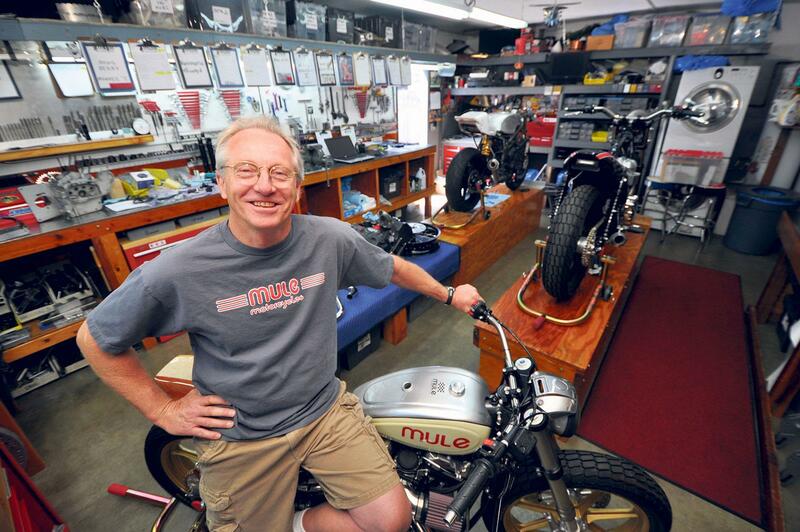 The man recognised as the godfather of the street tracker style and founder of Mule Motorcycles, Richard Pollock talks crashes, building more than 200 specials, and his dream bike. When did you start riding and what on? I started riding in 1966 on friends’ bikes. Things like a Honda S90, Cub 50 and 200cc Ducati. Then in 1967 I got a used Vespa 125 scooter for Christmas, followed the next year by a used Honda CL72 250 Scrambler. I had the Scrambler for six months when I promptly T-boned a car at speed. I broke my arm pretty bad – plates, screws, operations, all that, yet couldn’t wait to get another bike! Do you wish you’d kept any of your old bikes? I’ve built more than 200 bikes over the last 40 years, plus owned many and when I look back, there was a handful that I think have stood the test of time. Bikes that looked really nice or worked exceptionally well that I would love to have back now. Such as the 1982 XJ7500 Seca (very highly modified with Rob North swingarm and 880cc motor, FZR1000 forks, etc), Web Surfer Sportster, TZ-R1, Honda XR650R flat-tracker, a full race National caliper TZ750 and the Streetmaster Titanium Triumph! Or perhaps the Schmeichel twins? What’s the best bike you’ve ridden or owned? 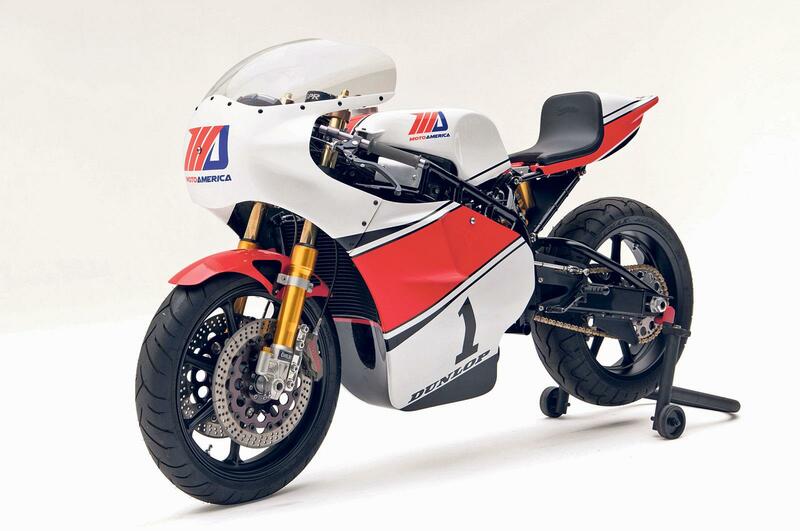 I would say the best bike I ever rode, or the one that stands out when I look back, would be the Honda RC30. 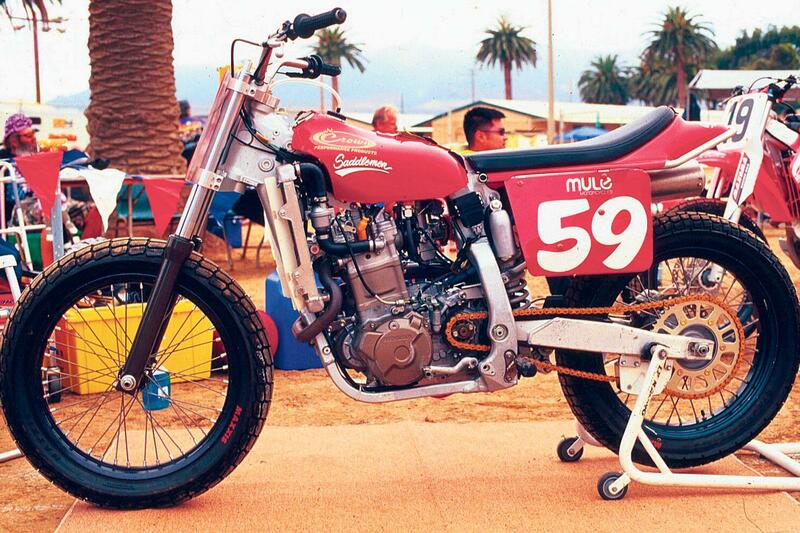 The best bike I ever owned was a 2001 Honda XR650R, which I set up for flat-track racing. We did a lot of motor work and it produced many race wins! What bike are you most proud of? That would have to be the TZ-R1 built for Richard Varner/Wayne Rainey a couple years ago. A hugely complex project that took almost three years to complete. It came out exactly the way I had envisioned it, which is very rewarding to a builder. When I say ‘envisioned’, it was literally a picture in my head, not a bunch of CAD drawings or blueprints. I have one side view photo of it that I still enjoy looking at. What was your most embarrassing moment on a bike? I had just finished a Harley Sportster-based street-tracker for myself. I finally had my own street-tracker after building so many for other people. It made over 100bhp at the rear wheel, was in a lightweight cro-moly frame and really cooked. I was approached by a magazine to do a photoshoot, static and riding on a dirt track. However, there were a few issues of concern. I had fitted 18in wheels with street tyres as opposed to 19s with dirt-track tyres and it was brand new with a custom paintjob. We arrived at Ken Maley’s (the guy that made everyone’s flat-track steel shoes) ranch and breezed through the static shoot, then down to Ken’s practice track. I went out to warm up the bike, while the photographer was setting up his camera gear. Within about 20 seconds, I had grabbed a handful, the tyre broke loose on the dry, slick surface, I went horribly sideways without enough side-to-side fork lock and then went full throttle head on into the wall. I dislocated both my thumbs, and jacked up the bike pretty good. Needless to say, the photo session was over! I’m currently building it. It’s based on a 1985 FZ750 Genesis. It should be complete in six months.